*Example: On a purchase where the Amount Financed is $7500.00, your Down Payment is $0.00; no interest UNTIL 9/1/2019 with 48 monthly payments of $170.43 each. Interest rate is 3.99000% [ANNUAL PERCENTAGE RATE is 3.31001% (E)]. *Example: On a purchase where the Amount Financed is $7500.00, your Down Payment is $0.00 with 36 monthly payments of $233.06 each. Interest rate is 6.99000% [ANNUAL PERCENTAGE RATE is 7.43128% (E)]. *Example: On a purchase where the Amount Financed is $7500.00, your Down Payment is $0.00 with 42 monthly payments of $179.77 each. Interest rate is 0.00000% [ANNUAL PERCENTAGE RATE is 0.37383% (E)]. *Example: On a purchase where the Amount Financed is $7500.00, your Down Payment is $0.00 with 48 monthly payments of $163.75 each. Interest rate is 1.99000% [ANNUAL PERCENTAGE RATE is 2.31604% (E)]. *Example: On a purchase where the Amount Financed is $7500.00, your Down Payment is $0.00 with 60 monthly payments of $138.99 each. Interest rate is 3.99000% [ANNUAL PERCENTAGE RATE is 4.25540% (E)]. 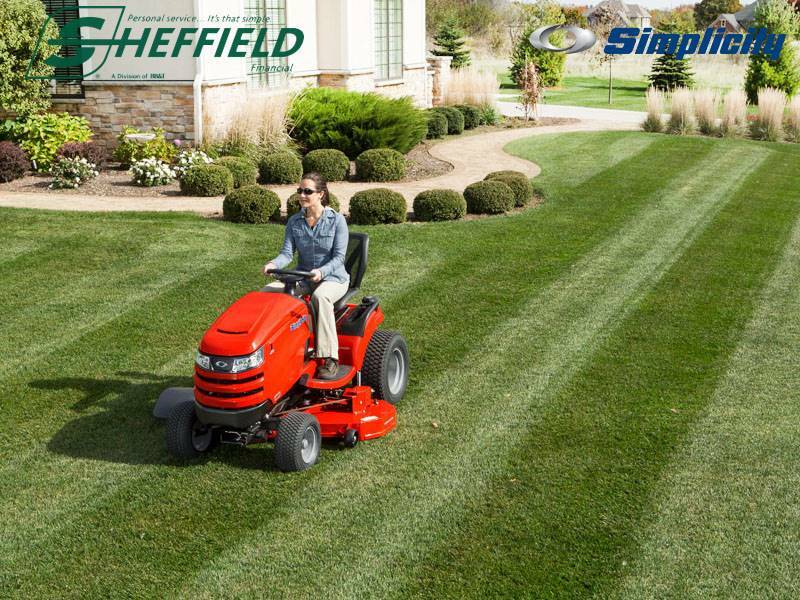 On Purchases of $12,000 or more with your Briggs & Stratton credit card made between 4/01/2019 and 4/30/2019. A $150 Promotion Fee will be charged. 72 Fixed Monthly Payments Required. *Offer applies only to single-receipt qualifying purchases. A promo fee will be charged and included in the promo purchase balance equal to $150. Monthly interest will be charged on promo purchase balance (including related promo fee) from the purchase date at a reduced 1.99% APR, and fixed monthly payments are required equal to 1.475% of initial promo purchase amount until promo is paid in full. The fixed monthly payment will be rounded to the next highest whole dollar and may be higher than the minimum payment that would be required if the purchase was a non-promotional purchase. Regular account terms apply to non-promotional purchases. For new accounts: Purchase APR is 26.99%; Minimum Monthly Interest Charge is $2. Offer only available on Simplicity Legacy Tractor and related attachments and accessories only. Existing cardholders should see their credit card agreement for their applicable terms. Subject to credit approval.